Huawei Ascend P7 will soon enter the congested PH mobile market as it is scheduled to be launched on July 1. It’s the newest flagship of the Chinese company that has a lot to boast in terms of its specs and functionalities. It features a 5-inch display with a stunning Full HD resolution (1080 x 1920) and is protected by Gorilla Glass 3. Under the hood, the device performs with the1.8GHz HiSilicon Kirin 910T quad-core processor that is developed in-house the Android maker. The processor is allied with a Mali-450 GPU and 2G of RAM for better performance. The device will be easy on the hand due to its form factor. The P7 is 6.5-millimeter thin notwithstanding that it has an LTE chip under its hood. This P6 successor is carrying a 16GB of ROM with MicroSD support of up to 32GB for the active downloaders. Camera-wise, it highlights the 13MP Sony BSI rear sensor with f/2.0 aperture while it’s equipped with an 8MP front-facing camera for quality selfie snaps. 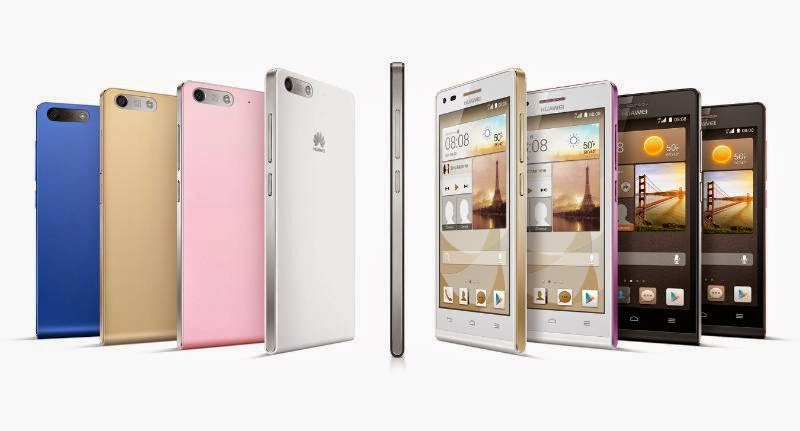 On the connectivity department, the device supports 4G/LTE network which is an improvement compared to its predecessor Ascend P6. It will also have NFC, Bluetooth 4.0 and USB-OTG right off the bat. The Android KitKat 4.4.2 operating system will run the whole show underneath the latest Emoticon UI 2.3. And finally, the 2500mAh Li-Po battery will give us a long mileage in while using this feature-packed phone. The Ascend P7 is priced at 449 Euros and will probably retail in the Philippines for around Php26,000. Like the P6, this is a promising handset with its quality display, elegant design, nice selfie camera and fast connectivity.